It is the very beginning of October so fall is officially in full swing! The weather is starting to get crisp (if you live on the east coast), fall fashion is making its way back (sweaters and boots for the win! ), and pumpkin spice everything abounds! And what better way to kick off the first real days of fall than with a bunch of beautiful, mouth-watering candy apples? Sure, you would think there are not many ways you can spin a candy apple, other than the tried and true classic. However, we are very happy to report that is not the case. 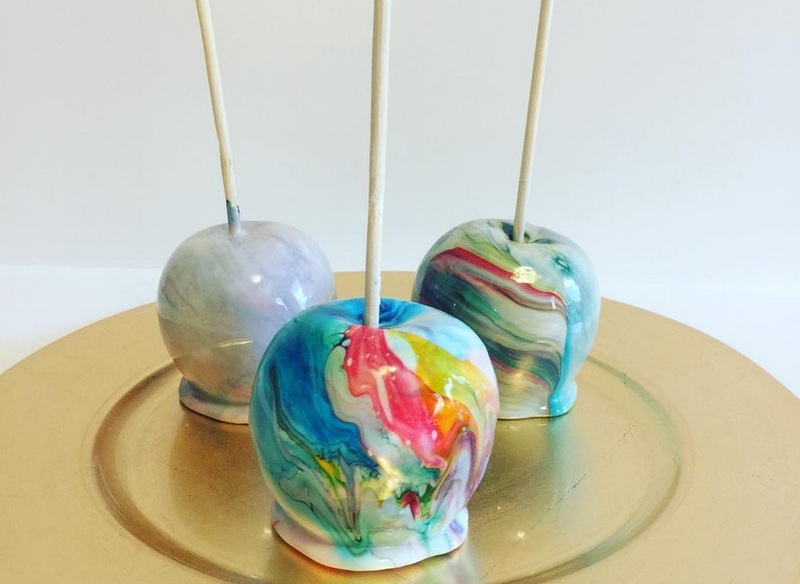 Check out all the most hashtag worthy candy apples that Instagram has to offer, and try not to get excited for fall! And here are some Eiffel Tower themed ones, because why not! This is making us want to run outside and step on some crunchy leaves, stat!